The Clearwater Series from Buck are USA-made fillet knives designed for comfort and longevity. 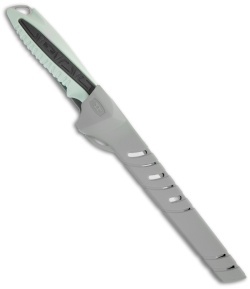 The Clearwater fillet knife has a properly flexible blade that is full-tang and features a triple-edge design with back-side edging for breaking fish down during non-fillet cuts. 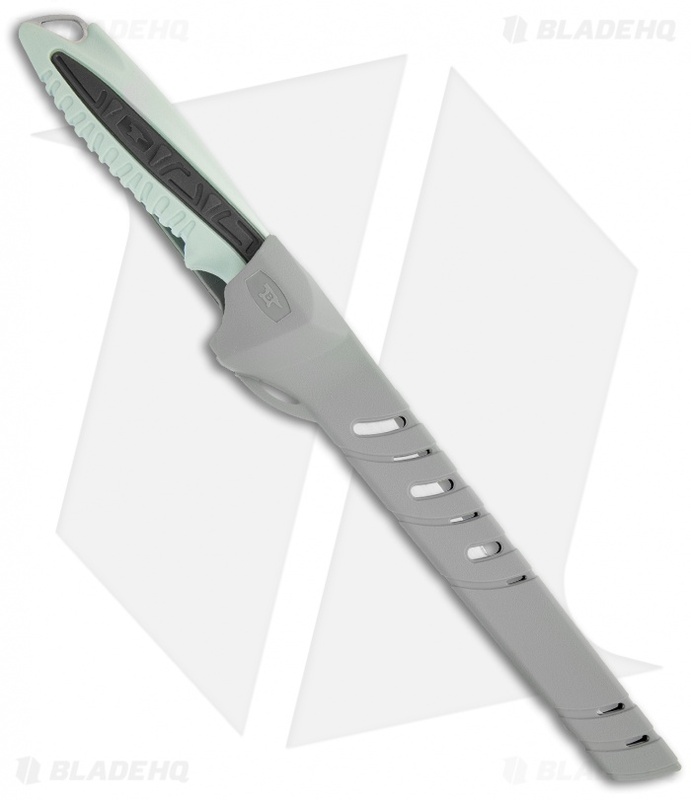 The handle is nylon with a rubberized overmold for a comfortable, safe grip. The sheath is injection-molded nylon, with drainage holes, is perfect for easy carry and storage. 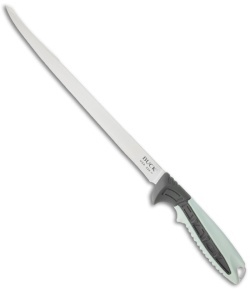 This 024 Clearwater 6" Fillet has a Sandvik 12C27Mod steel blade and gray handle.